A sumptuous blend of crystals and other exquisite detail, presented with a flourish of mesmerising ribbon dance. 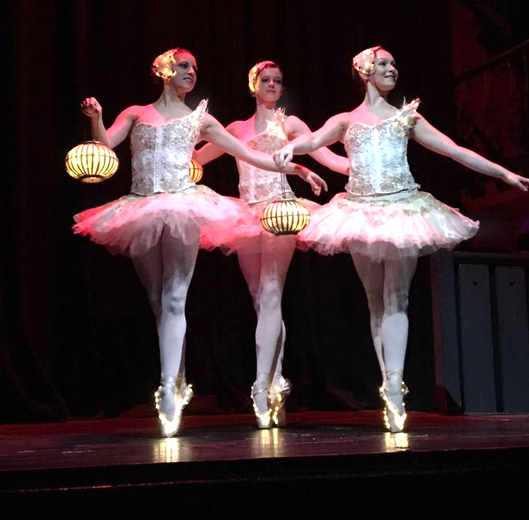 This joyful ballet is performed by our wonderful company of classically trained ballet dancers. Wonderful as part of a fire show, for ribbon performance as shown here, or work with flags or other props such as our signature illuminated lanterns. Performed by the crème de la crème of ballet dancers, this act makes for exquisite performance at private functions such as after dinner wedding entertainment and birthday shows, but also works beautifully within larger events. Divine.